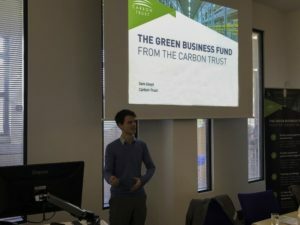 The Carbon Trust Green Business Fund is an energy efficiency support service for small and medium-sized companies in England, Scotland and Wales. It provides direct funded support through energy assessments, training workshops, and energy saving equipment procurement support. This workshop will help small companies across Great Britain learn how to identify and implement opportunities to reduce energy costs within their business and make the most of the Green Business Fund.